Harriet K. Murchison, 79, passed away peacefully August 28, 2018, at Hibbard Nursing Home, Dover-Foxcroft. 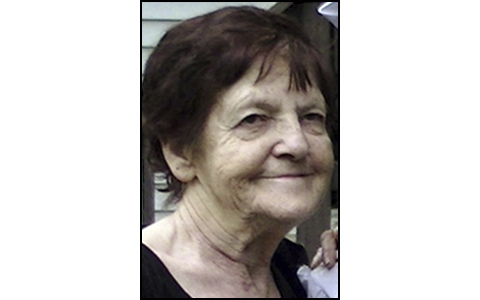 HARRIET K. MURCHISON, DOVER-FOXCROFT – Harriet K. Murchison, 79, passed away peacefully August 28, 2018, at Hibbard Nursing Home, Dover-Foxcroft. She was born January 14, 1939, in Bradford, the daughter of Ora C. and Gladys E. (Moulton) Chase. Harriet worked as a matron for the Aroostook County Sheriff’s Office for many years before becoming a waitress in local restaurants. Harriet will be remembered for being a family oriented, good natured person who was a lot of fun, especially a lot of fun with her daughters and their friends. She is survived by two daughters, Donna Adams, and Danita Hunt and her husband, Bryan; three grandsons, Jesse, Jake, and Robbie; great-granddaughter, Danita; brother, Wayne Chase and his wife, Ena; and two sisters, Estelle Nickerson, and Charlotte Chase. Harriet was predeceased by her parents; brother, Calvin Chase; and sister, Janice Olson. A graveside service will be held 11 a.m. Saturday, September 22, 2018, at the Greenwood Cemetery, Atkinson, with Pastor Ken Tetrault officiating and a special reading by Julia Chase. Arrangements are in the care of the Lary Funeral Home. Messages of condolence and memories may be expressed at www.laryfuneralhome.com.